The Holiday season is quickly approaching. It is ever clear as the days get colder and darkness falls upon us quickly. I drive home from work each evening turning the radio dial to hear Christmas music, glistening colourful lights are adourned on the houses of my neighbours and people are filled with Christmas cheer. If everyone who is purchasing lots of gifts for friends and family to also consider those less fortunate than they may be and consider sharing some wealth. A small contribution of a non-perishable food item to a local food bank is a start to reducing poverty and improving conditions in our communities. As most families enjoy a big Christmas dinner with lots of servings not everyone will meet or exceed daily nutritional requirements. During this time of year food banks become depleted as increased strains are placed on the most vulnerable peoples, some for reasons beyond their control. For those of you in my immediate region you may wish to make a contribution at the Local Food Sharing Association. Drop off can be made at their location in the lower level of the Plum Point Motel or at the Front Desk. 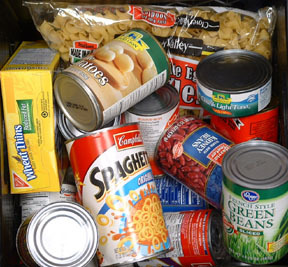 Maybe further action can be taken such as food drives by the committee, other non-profits or maybe bins made available at businesses, schools or churches to enhance the amount of food available to people in need. If you have ideas or suggestions, please leave comments. In with the new, so out with the old. Don’t box these items up never to be used again; why throw away working toys, previously worn clothing or other household goods? These items can be donated to local trift shop, such as Salvation army, similar organization or directly to a needy individual. 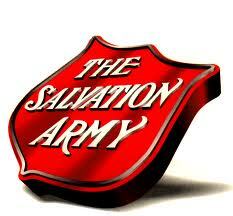 On the Great Northern Peninsula there is a Salvation Army store located in the Grenfell Properties, adjacent to the Interpretation Centre or across from Curtis Memorial Hospital in St. Anthony. This action diverts waste from local dumps, helps people build assets and fill some basic needs. If there are reasons why you currently don’t donate these types of items, we need to know and find a solution to bridge gaps. Maybe we need drop sites for a delivery service or establish local sites in the region. Together we can build social enterprise and focus on a peopled centred economy. It may be as simple as cleaning out one’s closet this holiday season. Posted on December 17, 2010, in Announcements, Tradition. Bookmark the permalink. 1 Comment.